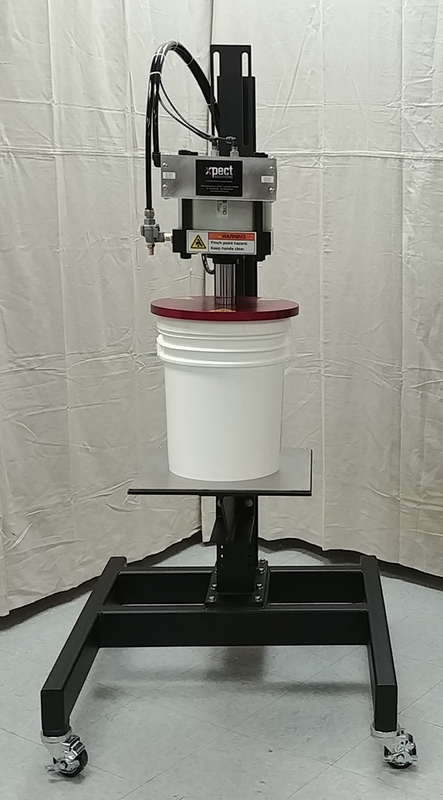 The 5 Gallon Bucket Stand Up Fixed Lid Press from Xpect Solutions is designed to replace the brutally hard process of manually hammering on lids. This lidding machine reduces the cost of pressing lids but does not reduce the quality of the work. 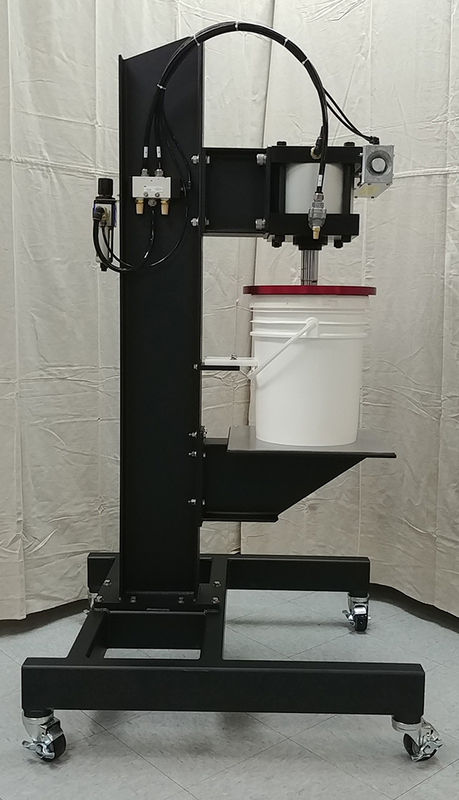 The 5 gallon bucket adjustable lid pressing machine will generate over 3,400 lbs of vertical force when pressing the lid onto the bucket. 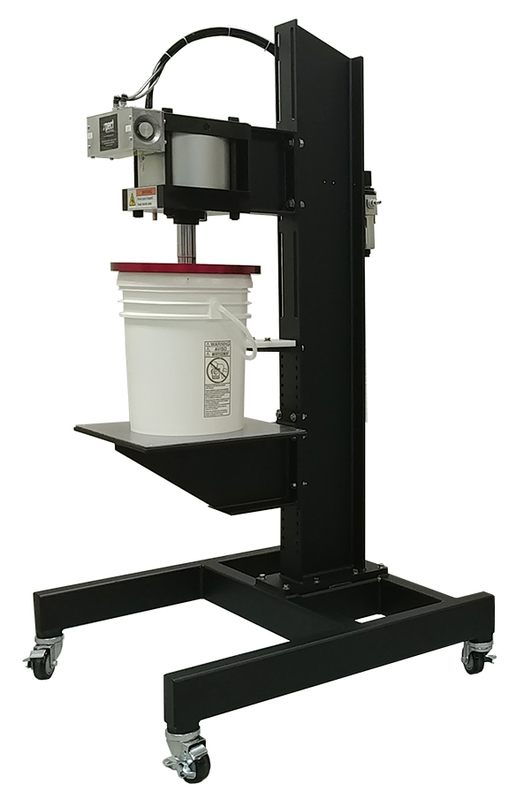 Our lid closing machine accommodates 1 to 5 gallon buckets. Ergonomic dual safety palm buttons trigger the bucket closure cycle.